A full panel of the U.S. Sixth Circuit Court of Appeals ruled that Michigan's constitutional ban on affirmative action does not hold up under the U.S. Constitution's equal protection clause (14th amendment). Last year's Sixth Circuit ruling was 2-1. An appeal was made to a full panel of judges. Today's ruling striking the ban down was 8-7. Millions of dollars were invested in Michigan’s recent ballot proposals. While citizens were aware that money was being spent, it was often unclear how much money was spent and from whom it was coming. Michigan Radio’s Lester Graham and Rich Robinson, director of the Michigan Campaign Finance Network, spoke with Cyndy about the need for financial transparency in elections. "Governor Rick Snyder says if voters reject Proposal 2, that would not be an invitation to pass a right-to-work law in Michigan. Proposal 2 would guarantee collective bargaining rights in the state constitution, and call into question many of the state’s labor laws. 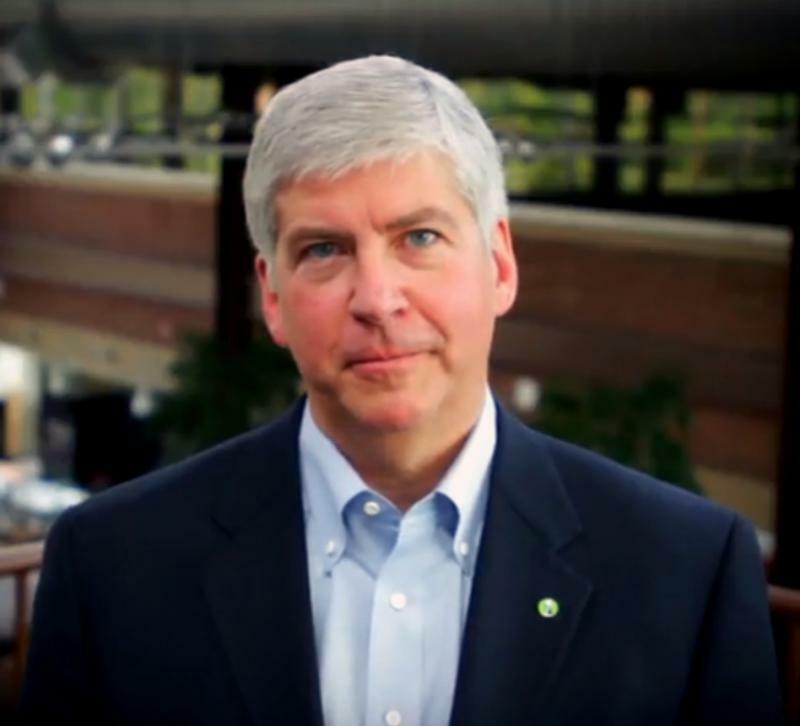 Governor Snyder is urging a “no” vote on the proposal, but he has also asked the Legislature to stay away from right-to-work because it’s so controversial. Right-to-work laws forbid compulsory union membership as a condition of employment," Rick Pluta reports. "Michigan bars and restaurants that serve alcohol can now add political signs to their décor. Since 1954 the Michigan Liquor Control Commission has had a rule that businesses with state liquor licenses could not post signs endorsing political candidates. Last week an Ann Arbor bar along with the ACLU filed suit challenging the ban," Steve Carmody reports. 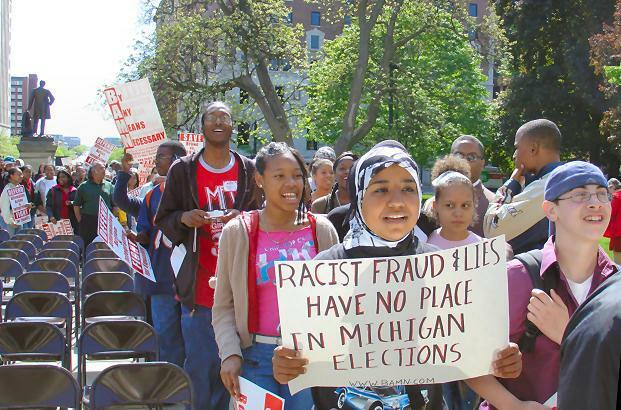 "The Michigan Center for Election Law says it will be on call on Election Day. Volunteers will staff a hotline that voters can call if they experience problems casting a ballot. The phone number will be on yard signs outside most precincts. A member of the group says during the primary, some people called the hotline because clerks told them they couldn't vote without I.D. State law allows people to vote without I.D. if they fill out an affidavit," Tracy Samilton reports. Michigan voters face six questions on November’s ballot. And those questions can be very confusing. 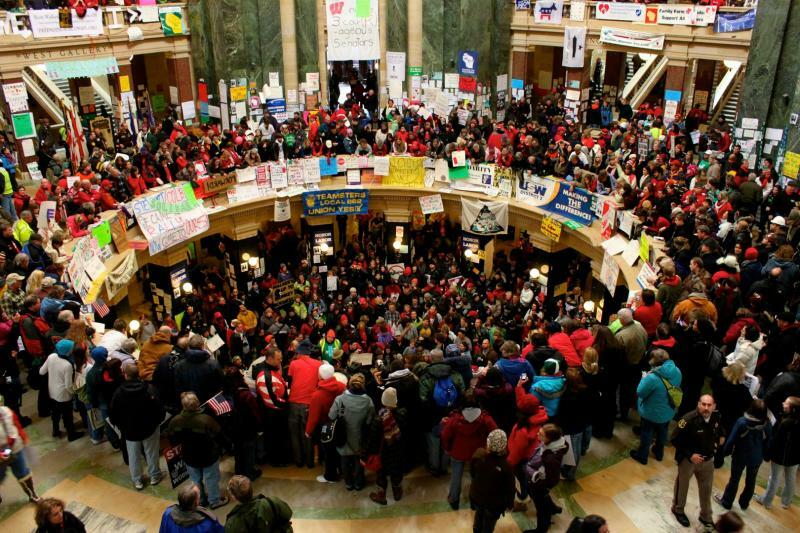 Today, we look at two proposals that focus on collective bargaining. Proposal 2 would protect collective bargaining in the state constitution, and Proposal 4 would reinstate collective bargaining for in-home health care workers. As you probably know, a Titanic battle has been going on for years now over whether to build a new bridge over the Detroit River. On one side is Governor Rick Snyder, the government of Canada, Ford, Chrysler and General Motors, and the chambers of commerce. On the other side, Matty Moroun’s family, the owners of the Ambassador Bridge, who right now have a monopoly on moving billions in heavy automotive components from Detroit to Ontario. The Moroun family, that is, together with those who support their position because of their money. 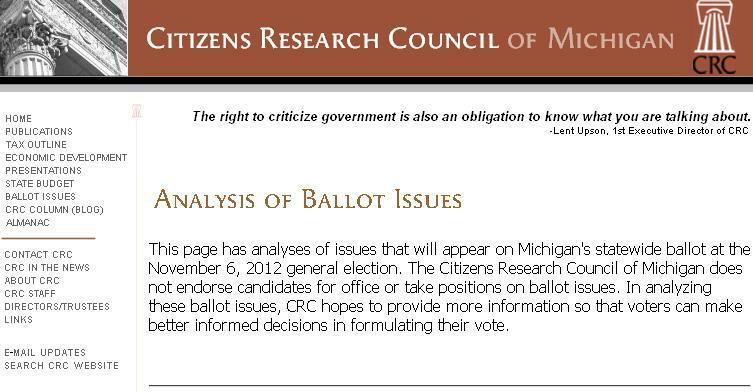 The non-partisan, independent Citizens Research Council has been busy analyzing the six ballot proposals facing Michigan voters. Today at 2 p.m., they're holding an online "webinar" to discuss proposals 1, 2, and 4. 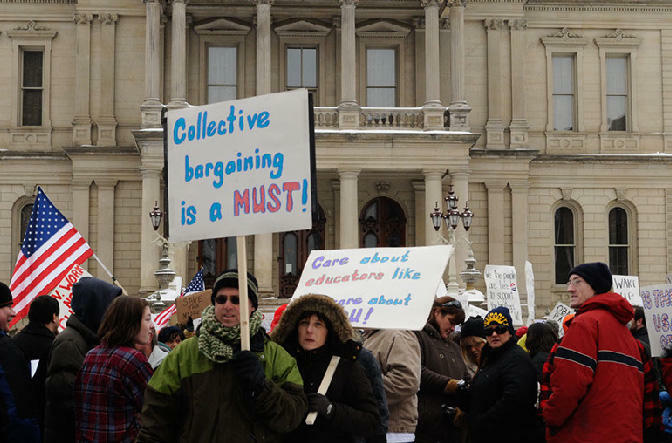 CRC will offer summaries of its analyses of the referendum on Public Act 4 of 2011, the proposed constitutional amendments to enshrine the right to collective bargaining in the constitution, and the proposed constitutional amendment to establish the Michigan Quality Home Care Council and provide limited collective bargaining rights to home health care workers. To take part in the webinar, you can follow this link. Five proposed amendments to the state Constitution and one other referendum will appear on the ballot on election day. 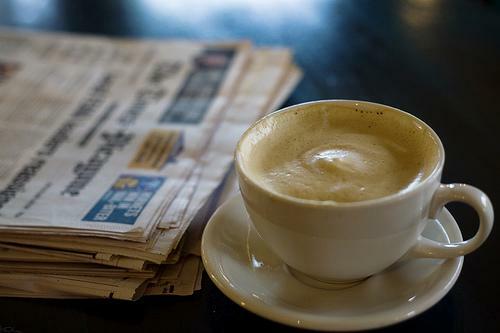 We’ll see a lot of political commercials in the final weeks before we go to the polls. Michigan Watch is teaming up with the Center for Michigan’s Truth Squad to look at some of those ads. The U.S. Circuit Court in Cincinnati will hear arguments tomorrow about Michigan's constitutional amendment barring state universities from considering an applicant’s race in college admissions. Michigan voters overwhelmingly approved ‘proposition 2’ in 2006. The amendment bars state colleges and other publicly funded institutions from considering an applicant’s minority status. Mark Rosenbaum is with the American Civil Liberties Union. He says Prop 2 violates the U.S. Constitution by forbidding the consideration of race, while other factors like whether a college applicant’s parent is an alumnus, are still permitted. 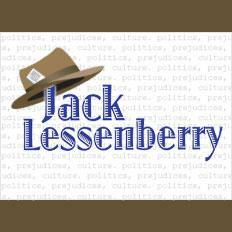 “That’s un-American because it removes ‘racial identity’ from the vocabulary of a democracy," says Rosenbaum. Last year, a federal appellate court ruled against Prop 2. Joy Yearout is with the Michigan Attorney General’s office. She says the Attorney General finds a serious problem with that ruling. The case may eventually end up before the U.S. Supreme Court. The Michigan Department of Civil Rights released a statement supporting the opinion of the US 6th Circuit Court of Appeals. The court struck down the Michigan constitutional ban using race or gender in university admissions decisions. We believe the question of who comprises a student body is best made at the academic rather than the political level. A university’s primary responsibility is the academic interests of those students who are admitted and preparing those students for the future. This decision removes the handcuffs that prevented Michigan’s public universities from making decisions based upon those factors they believed to be in the best interests of the entire student body and the institutions as a whole. 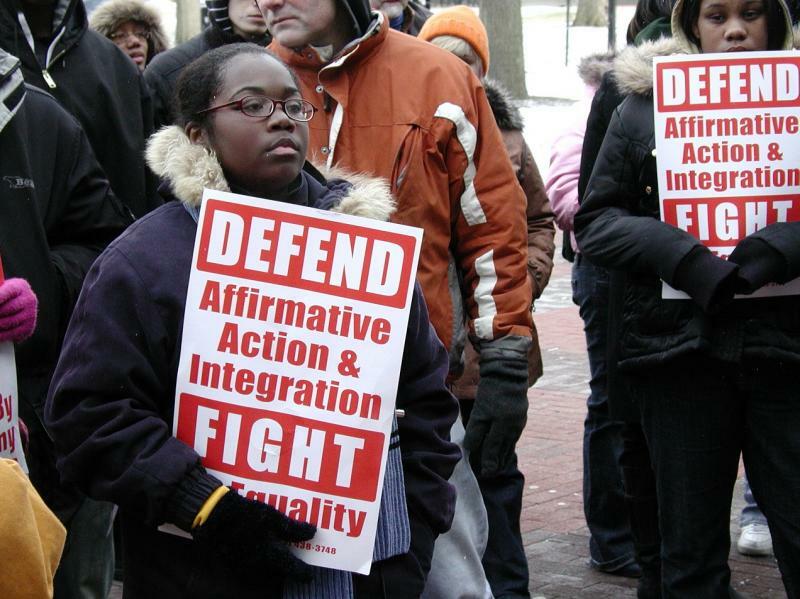 The Michigan Roundtable for Diversity and Inclusion, an advocacy group that worked to preserve affirmative action in Michigan, also praised today's court ruling. The Michigan Roundtable for Diversity and Inclusion today applauded the Sixth Circuit Court of Appeals decision striking down Michigan's anti-affirmative action constitutional amendment, with CEO and President Thomas Costello calling the decision "a clear win for access, opportunity and equity for all." The court noted that the 14th Amendment to the U.S. Constitution, known as the "equal protection" clause, is more than just words. "It is also an assurance that the majority may not manipulate the channels of change in a manner that places unique burdens on issues of importance to racial minorities." Michigan Radio's Steve Carmody interviewed Jennifer Gratz, the director of state initiatives for the American Civil Rights Coalition. In 2006, Gratz was the executive director of the Michigan Civil Rights Initiative which became known as "Proposal 2" once it was put on the ballot. Proposal 2 passed and it amended the Michigan Constitution by banning the practice of using race or gender in college admissions. The Sixth Circuit Court of Appeals ruled the ban unconstitutional today. Gratz was also a lead plaintiff in a case against the University of Michigan's affirmative action policy in admissions - a case that went all the way to the Supreme Court in 2003 (Gratz v. Bollinger).